Jason Kenney rolled out his election campaign promising once again to take Alberta backward. His for the economy is to create two Albertas. One for the rich - with gold plated private healthcare and the biggest corporate tax giveaway in Alberta’s history - and another for everyone else. While the wealthy get another round of champagne and caviar under the Kenney plan, the only thing everyday families get are cuts to healthcare and education and a return to the royalty roller coaster. 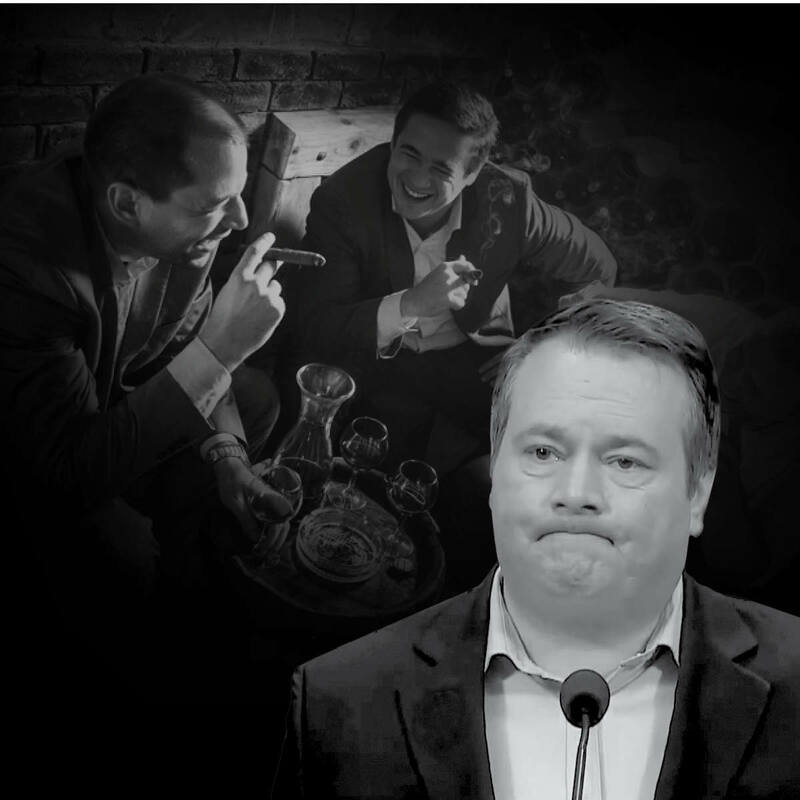 This election Jason Kenney is promising to roll back the wages for young people and servers and give that money back to the rich in big tax breaks to rich corporations. Only Jason Kenney would watch Robin Hood and think it was a scary movie, but that’s what we’re seeing from Kenney. Under his plan, on top of wage cuts, young folks can also look forward to sky high tuition, crowded classrooms, and a conservative leader that will always put their priorities last. While Jason Kenney’s promising working people less he’s pledging a $4.5 billion tax giveaway to Alberta’s wealthiest corporations. Kenney’s been clear that his platform is up for sale, and the rich are cashing in. Over 150 corporations gave Kenney $2M and return Kenney gave them the most regressive platform in Alberta’s history. Jason Kenney doesn’t believe in diversifying Alberta’s economy. In fact he said it wasn’t his responsibility. When asked about his failure to fight for market access in Ottawa Kenney said “I wasn’t responsible for pipelines.” Albertans know that when it comes to pipelines and diversification, it’s everyone’s responsibility and we’re all paying for Kenney’s inaction today. Kenney even said that when he was around the cabinet table in Ottawa, not a single pipeline was a priority for him. In fact he only said the word pipeline six times in the entire time he was in the House of Commons. That’s over two decades of failing to act on pipelines. That means two decades of failing to diversify Alberta’s markets and our economy. While Rachel Notley’s made-in-Alberta energy diversification plan is generating billions in value-added investment and thousands of good jobs, Kenney’s leadership failure has already hurt everyday families. Alberta can’t afford a return to Kenney’s failed approach of shouting down opponents and ignoring environmental concerns. We all know where that got us- not a single pipeline to tidewater. His plan is more of the same failed approach that got us into this mess.